We would like to welcome you to the Bonny Slope community as we prepare for another great school year. The Bonny Slope Community Organization is your parent group for Bonny Slope Elementary. All parents are automatically members of BSCO and we look forward to meeting and working with you. Please mark your calendars with some important dates and events and read on for important information regarding volunteering at Bonny Slope. All families are invited to our annual Bonny Slope Picnic on Thursday, September 1, 2016. The festivities kick off from 4:30-6pm with a Meet the Teacher event, where you can drop off school supplies and explore your child’s classroom. The picnic will take place on the BSE field from 5-7:30pm. Bring your own picnic, chairs or a blanket and join the fun! Enjoy popsicles provided by BSCO and meet other BSE families as we kick off the school year. 5th grade students will be on hand for student-led school tours. We hope you can join us! Parents are invited to a Welcome Back Coffee in the library. BSCO will be hosting the event on Tuesday, September 6, from 8:30-9:30am. Catch up with old and new friends and meet our principal, Janet Maza, and our new vice principal, Allison Montelongo. Please stop by! We hope you will find time in your schedule to become a Bonny Slope volunteer. Your help plays a major role in our success. There are a variety of options to get involved with your child’s education at Bonny Slope, including volunteering in the classroom, helping staff our library, working on an event committee, or doing production projects for teachers. Fill out an mVP application. Follow the steps to create a username, password and profile. This includes the background check the District requires. 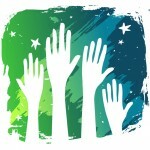 Log into myvolunteerpage.com to see opportunities and update preferences. All information, required links and more details are available on our website, www.bonnyslopebsco.org/volunteering. Two Volunteer Orientation Sessions have been scheduled to accommodate as many people as possible. You need only attend one session. Come and learn more about participating at BSE. Volunteers are required to wear identification badges while on school grounds. We will be taking photos for your badges at both of these Volunteer Orientations, as well as at the Parent Welcome Coffee. Once school gets underway, your child’s classroom coordinator will contact you with additional information. Volunteering typically starts in October, once teachers have had time to assess their volunteering needs. If you are interested in being a classroom coordinator, responsible for working with your child's teacher to organize volunteer schedules, etc. please check that box on the mVP interest form, and we will follow up with you. We need classroom coordinators and this is a wonderful way to get to know your child's teacher as well as other parents. If you are interested in volunteering right away, please consider signing up to help our kindergartners during lunch time. Our youngest students need help finding a seat, opening containers, cleaning up, etc. The goal is to get them feeling comfortable and independent at lunch time. You are encouraged to sign up for as many dates as you can. PLEASE NOTE: A Background Check is required prior to visiting/volunteering during school hours. BSCO funds amazing family events and student enrichment programs throughout the year. 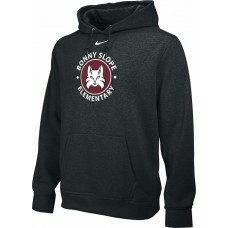 Please browse through our website www.bonnyslopebsco.org to sneak a more detailed peek at what’s available to your family. Thank you and we hope to see you at the Back to School Picnic!